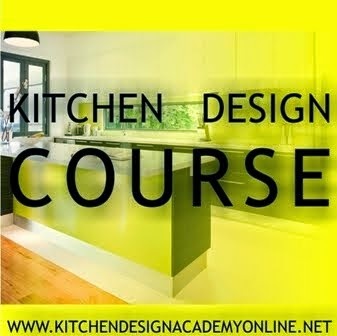 "Kitchen design profession is about selling by getting the trust, by building confidence; hence, whatever designer do, say, or demonstrate will be judged and assessed by the client on a trust scale. As a designer, you represent the company, and the company is assessed through you. " Extract from the Module 6-Designer job. Giuliano Giaroli set up his studio in 1985. Interior design and renovation were his prevailing activities at that time. His furnishing settings are strongly chacterized by elements of his own design. The close collaboration with Schiffini Kitchens began in 2003 when he designed for the company some ranges of kitchen and complements. At present he coordinates worldwide the image of the company in its single-brand showrooms. The four Baumann brothers established the firm of 'Gebrüder Baumann' in 1929. In 1954 the firm of 'Wilhelm Baumann' was established, manufacturing kitchen buffets and also, from 1956, Swedish kitchens. Production of fitted kitchens using melamine-coated chipboard began in 1961. The product name selected was 'bau-for-mat Einbauküchen'. By 1970 the business had sales of €2 million and about 90 employees. In 1971 the 'Wilhelm Baumann' business was taken over by son Wilfried Baumann. By 1984 sales had reached €50 million and there were about 320 employees. In 1985 the corporate name was changed to 'bau-for-mat Küchen' Siegfried Westerholz was appointed as Manager. The firm of 'Burger Küchenmöbel' in Saxony-Anhalt was taken over in 1991. Delf Baumann was the third generation to join the family business, in 1996. The Haus Beck exhibition and training centre was opened in 2000, following extensive renovations. In 2009 the 'cube 130' product line was launched at the company exhibition. 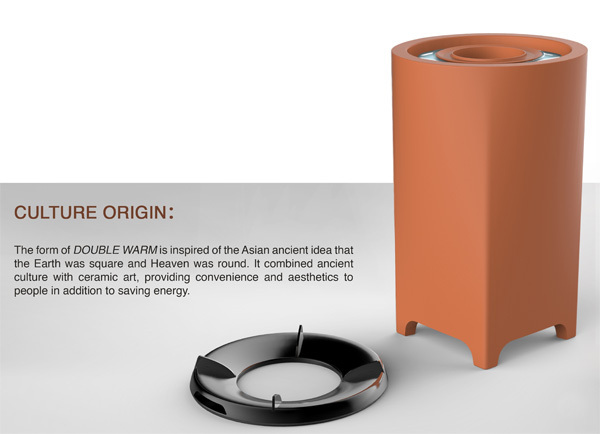 Inspired by the Asian idea that the earth was square and heaven was round, the Double Warm Multi-functional and Energy-efficient Coal Stove was conceptualized. 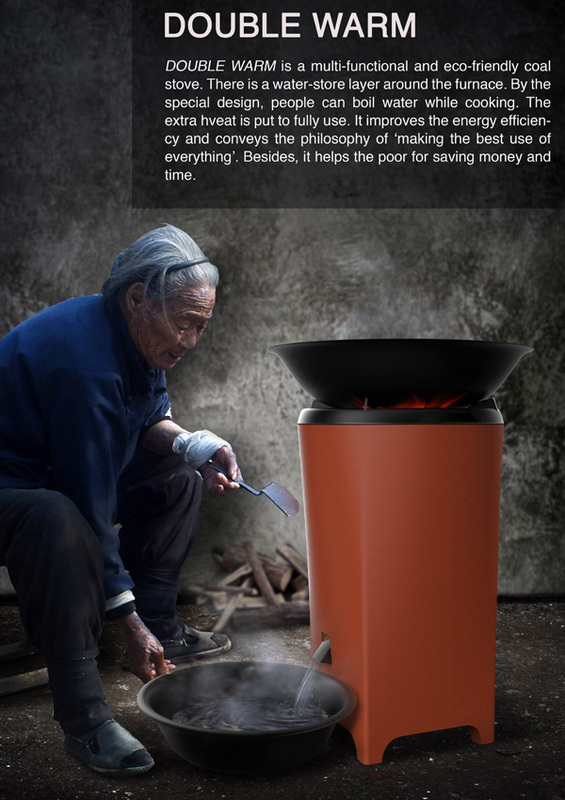 It is designed to have a water-storage volume surrounding the furnace so that you can boil water while you use the stove for cooking. 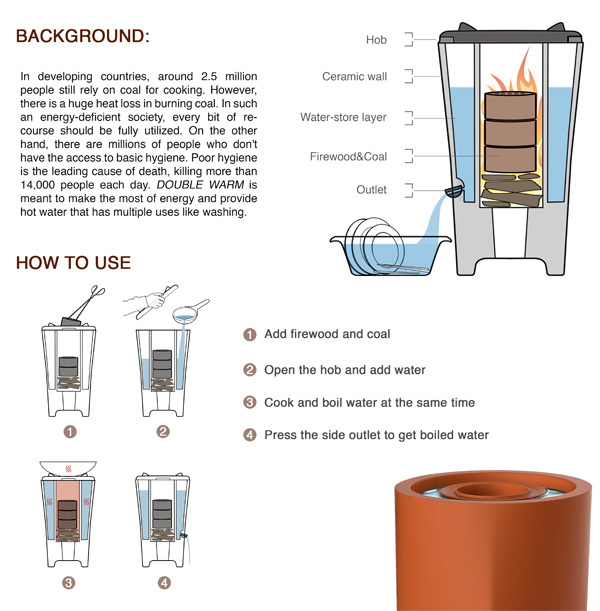 This hot water can be used for bathing etc. Nice idea, especially since it is aimed for the energy-starved counties where resources are expensive and scarce. In most modern houses, the kitchen is the operations centre, which is why it is often positioned in the heart of the home. However, sometimes there is a need to provide a degree of separation between formal and informal living areas. In this house, the kitchen takes pride of place in the centre of a large living space with a spectacular lake view. But the separate areas within this space are defined by the position of two semi-freestanding cabinet units, which act as room dividers. Kitchen designer Lloyd Richardson of Lloyd's Joinery, who worked with the owners, Margo and Tom Pryde, says these two walls of kitchen cabinets were also designed with respect to the living spaces on either side. To the left is a reading room, and to the right is the living area. "Rather than having a flat wall on the other side of the cabinet units, we provided bookcases in the reading room, and panelling to the side facing the living room." Glazing at the top of the pantry units and a bifolding door allow the reading room to be closed off if required. But, because the owners didn't want an open door to interfere with the easy flow between the rooms, the door folds away into the cabinetry when not in use. The two rows of cabinets effectively create a U-shaped kitchen, with a galley-style work area. 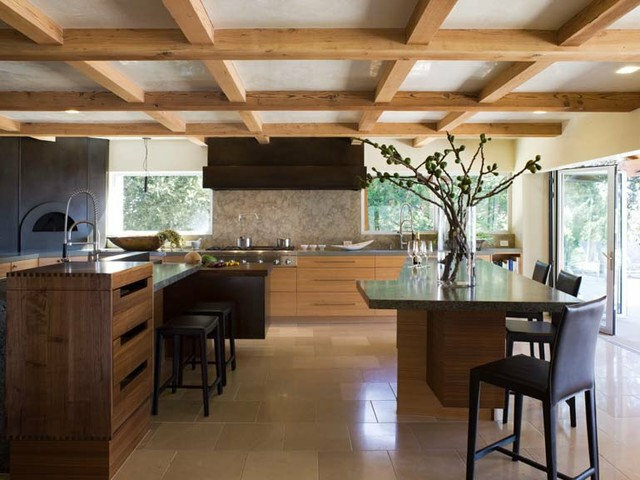 Richardson says the shape and the neutral material palette of the kitchen ensure the dramatic view remains the focus. "When you are working at the sink bench, you feel as if you are hovering just above the lake," he says. "This feeling is enhanced by the window that opens right onto the rear benchtop, which can act as a servery to the terrace." 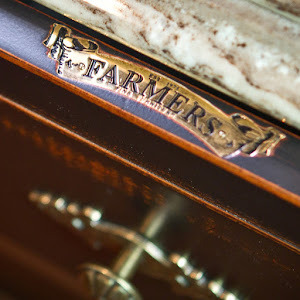 Albedor industries is an industry leader in the manufacture of quality door and panel components for the kitchen and cabinetry industry. With over 30 years experience in manufacturing, Albedor Industries is renowned for its superior quality standards, consistent lead times and competitive pricing. Albedor has an extensive offering of Thermo Formed door designs, the unique Ultra Finish collection, or True Reflections - the ultimate in mirror finish product. Albedor E0 Thermo Formed doors provide the ultimate in reliable, durable and easy to clean surfaces, in stylish finishes at an affordable price. Backed by a 7 year manufacturers warranty, Thermo Formed doors are available in a comprehensive range of designs as well as a broad selection of finishes - from plain, satin, organics, surfacecoat, fino, plain gloss, gloss metallic and gloss printed surfaces. Albedor Industries E0 Ultra Finish doors and panels are manufactured utilising advanced PUR Laminating Technology, and features a flawless finish and crisp square edge detail. Albedor's Ultra Finish range reflects contemporary design, available in colours and textures ranging from earthy tones to inspiring woodgrains, classic styles and rich gloss colours. Ultra Finish doors and panels are edged with exact match edging exclusive to Albedor or alternatively, select from our range of feature contrast edging options. Ultra Finish can be manufactured up to 5400mm in length and on a variety of thicknesses of MDF substrate. Ultra Finish doors and panels are suitable for vertical use in residential and commercial projects. True Reflections by Albedor is the ultimate in mirror finish gloss surfaces. True Reflections features the latest in European style and is the ideal choice for high gloss finishes in cabinetry, kitchens, shopfitting and other internal vertical surfaces, as well as being hard wearing and durable. True Reflections is available in a select range of plain and exotic colours. Doors and panels can be finished in feature, contrast and complimentary edgeband. The combinations of colours and edgebands are endless and allows for a creative and individual look. True Reflections doors and panels are available in custom door sizes, various lengths and thicknesses of MDF substrate including 18mm E0 MRMDF, which complies with AS/NZS 1859.2 standards for low formaldehyde content. Probably the most unusual idea for a kitchen so far!